The pinnacle of collecting artwork of famous people is an original work of art where the famous subject has posed or sat “live” to be painted. 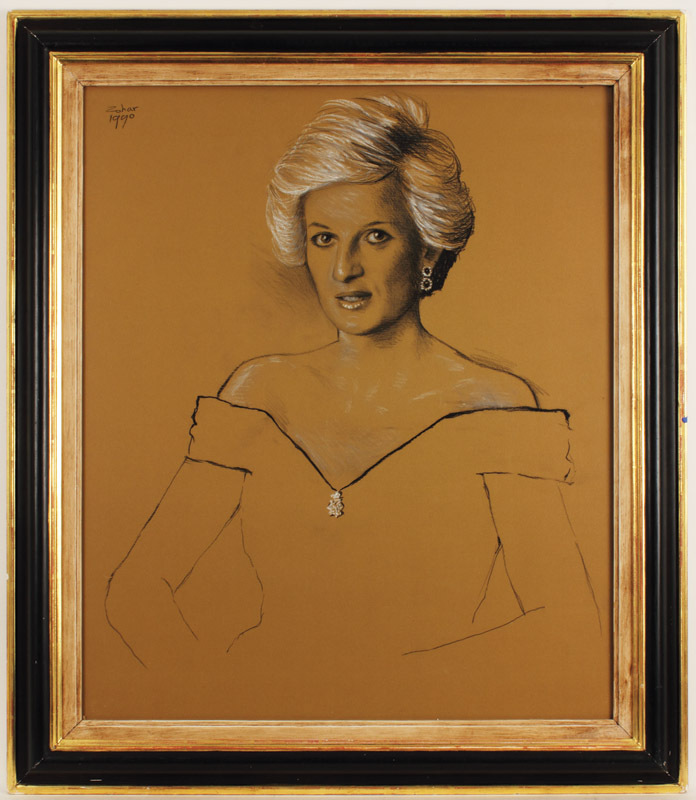 This is a fabulous original 32 X 36 sketch of Princess Diana for which she posed, drawn by famous Russian artist Israel Zohar in preparation for a formal portrait commissioned by the Queen Mary’s own 13/18 Regiment of the Royal Hussars of which Diana was Colonel-In-Chief. 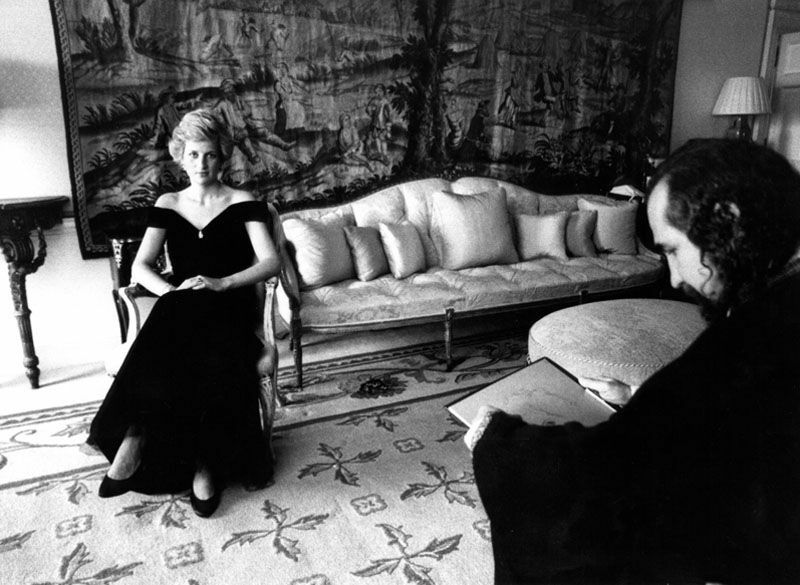 Diana sat for the sketch attended by a Lady In Waiting to the Princess, at Kensington Palace in 1990. 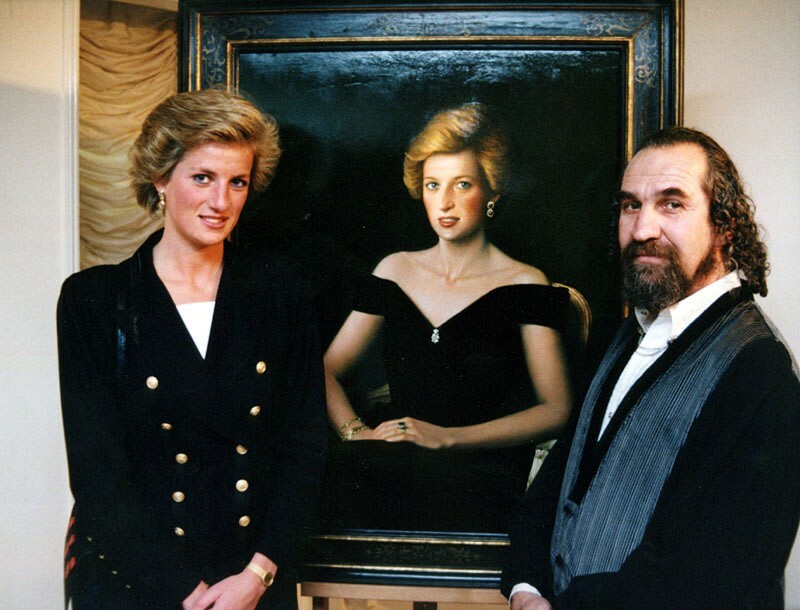 The portrait was organized by Roy Miles, one of the talented and knowledgeable art dealers at the time, and a social acquaintance and great admirer of Diana. Using this very same sketch, Zohar painted his fabulous official oil portrait of Princess Diana that currently hangs in the headquarters of The Royal Hussars in Tidwell, U.K. Interestingly, the dress worn by Diana in the portrait is now known as the famous “John Travolta Dress” which she wore in 1985 when John Travolta twirled her around the dance floor at the White House gala in honor of Diana and Prince Charles. 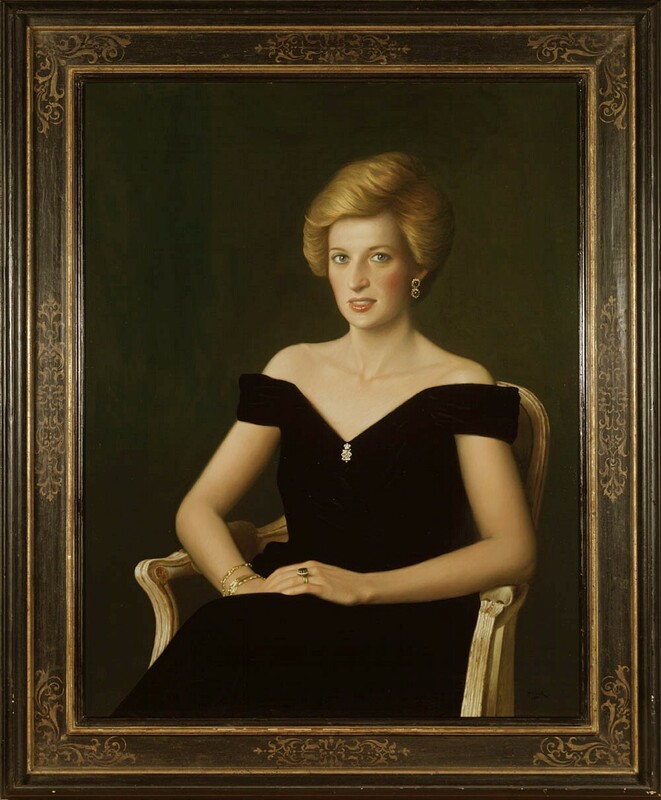 This is an important, one-of-a-kind original artwork made of Princess Diana who was the object of worldwide attention and admiration even after her untimely tragic death years later in a Paris car crash in 1997. Framed. Comes with a letter of provenance from the individual who purchased the artwork at Christie's and a Gotta Have Rock & Roll™ Certificate of Authenticity.